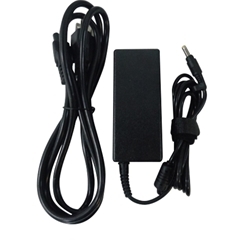 Description: New high quality aftermarket 45 watt ac adapter and power cord for select Sony laptops. Input: 100-240V, 50-60 Hz. Output: 10.5V - 4.3A. Compatible Part #'s: PA-1450-06SP, NSW26078, VGP-AC10V7, VGP-AC10V8. Sony VAIO Duo 11 Ultrabook. Sony VAIO Duo 11 SVD11213CXB, SVD11225CXB, SVD112190X, SVD1121Z9EB, SVD1121XBATT, SVD11215CXB, SVD1122APXB, SVD1121P2EB, SVD1121X9EB, SVD11215CKB, SVD1121BPXB, SVD1121Q2E, SVD1121Q2EB, SVD11223CXB, SVD11215CYB, SVD1121Z9E, SVD1121X9EB.